When purchasing a vehicle in Alabama, as a new owner, you are required to register that car in your name and apply for a title. When you buy a car from dealers, they normally handle this paperwork on your behalf. If you choose a private seller, you will be responsible for paperwork handling. This article contains more information about documents required when purchasing a car in Alabama. Original title signed and certified. You will be required to pay $15 for title fee plus a processing fee of $1.50. Sale tax, license fee and ad valorem vary in each county. 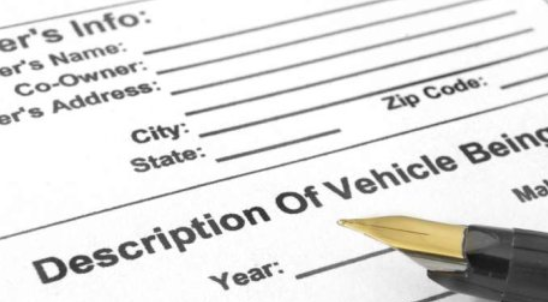 If you purchase your vehicle from registered dealers, they will assist you in filling the paperwork. Test-drive each car that you choose, to determine its comfort and functionality. Make sure you check the head space and leg room before making your decision. Check on insurance rates for each vehicle before purchase. Insurance rates largely depend on the vehicle’s model, make, year and body style. Negotiate a price and make sure you reach a price that you are comfortable at. Quote a price that is lower than the asking price and work your way upwards to reach a compromise price. If you reach an agreement, you will have up to 20 days to register your new car. You must complete title processing before registering your car. Due to Hurricane Katrina which hit most states in the USA including Alabama, thousands of used and new vehicles were affected by the flood and as a result were totaled out by vehicle insurance companies. Some of these vehicles are back in the market. They have been varnished in such a way that you cannot recognize them easily. So, you should be alert to avoid becoming a victim of such vehicles. In Alabama, you will need a Bill of Sale in order to apply for a title and register your car. You can download one from several online sites. Alabama Lemon Law is the law that protects consumers from defective vehicles. This law is enforced by the state and it is intended to protect car buyers from vehicles that had been damaged by accidents and were beyond repair.